Spiders make no apology for directly borrowing from the giants of contemporary RPGs. Why should they; if something works, that’s viable enough an argument to use it. But there’s a certain degree of respect to be taken from a team who don’t intently go out of their way to dress something up as different when, in truth, it’s far from. 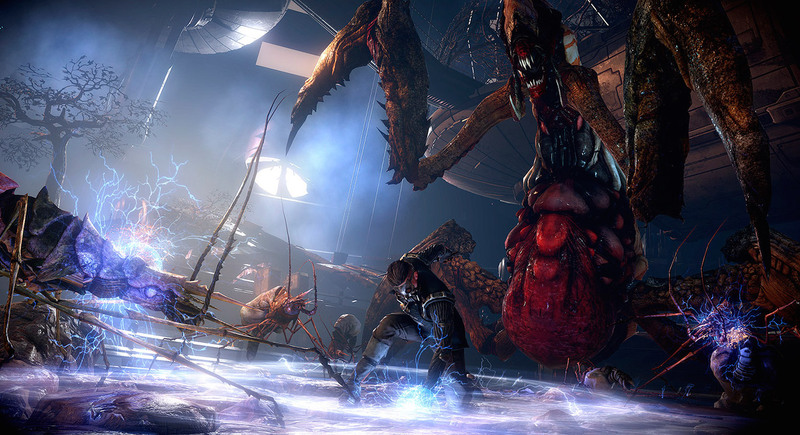 Be it taking pages from the book of Bethesda or Bioware more prominently, the Focus Home developer aren’t afraid to make it known what specifically they like and more importantly what it is they want to help define their own science fiction-themed action RPG, The Technomancer. They may not be hoping to build or expand elements pertaining to character-led narration or dialogue-centred player-choice, but there’s little means to shy away from a game that, from the start, presents itself a happy medium in the video game production hierarchy. 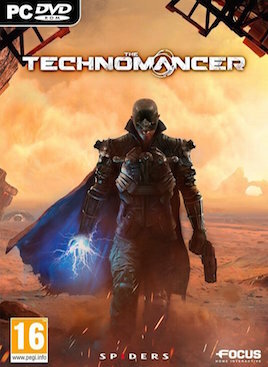 Between digital-only indie home-brew’s and fully-retailed AAA products, The Technomancer serves the middle ground with a moderate amount of content — priding itself on its ambitious World-building but doesn’t try diverting too many of its resources from other critical areas. Be this a carefully-considered benefit or shallow-level hinderance, Spider’s Mars-centred, dystopian-leaning quest is one that has its charms on presentation — often reminding me of the slightly-gritty, slightly-camp Total Recall (the 1990 original, not the woefully-dismal 2012 remake) but ends up remembered more as a title dragged down by technical misfires that not just deter but damage player experience. From the get-go — immediately after the player-character customisation screen itself, wherein you cosmetically define the main character, Zachariah — the sheer void of animate presence in character’s facial expressions, aside from the mandatory moving of one’s mouth to speak, is hard to ignore. But characters — that can preside over cutscenes with as much the emotional drive as a crash-test dummy — can be the least of The Technomancer‘s worries when it comes to general performance. 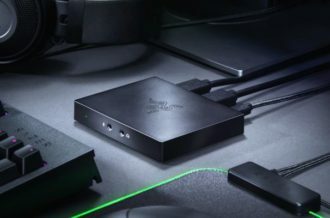 While the game does output and render cutscenes at 60FPS, playing this on PC can often result in a wide-range of frame-drops and subsequent rises from time to time mid-gameplay, if left uncapped. 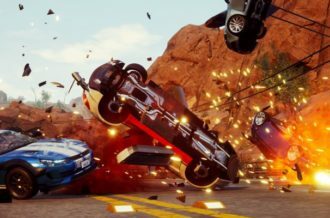 Cutscenes similarly deliver an odd mix of persistent sixty frames while at the same time shifting, without warning, to thirty frames and vice versa — leaving the more theatrical and action-orientated moments feeling jarring from time to time. Mars itself does admittedly lend itself the odd nicety as far as backgrounds and art design go. Aesthetically, Spiders nail the paradigm often favoured in similarly 80’s sci-fi punk, with its groggy shanty-towns, its busted-and-bruised military outposts and slick corporate regions and at times, the game leaves itself open for curious meandering, if not a sizeable amount of exploration both in and out of objective quests — optional or otherwise. It’s intriguing, at the very least, to casually browse the more rougher-leaning regions and stumble across suspicious-looking groups or individuals not exactly mustering a friendly attitude towards my presence and while these moments do, eventually, reveal themselves as merely scripted actions, it does give The Technomancer‘s in-game society a bit more liveliness and tension. 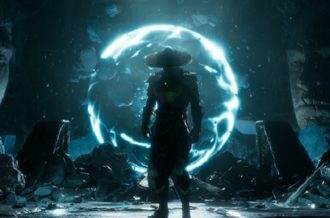 As such, this need and indeed requirement to dig a little deeper into what’s taking place leads us onto the gameplay at hand, of which comes in two distinct forms: combat and modern-day RPG-style marker-following that are the quests. 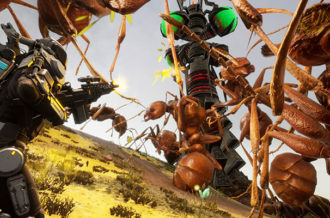 For the most part, players are required to scout or simply talk with particular characters to lead them to the next point and while this in itself poses no real creative deviance from what’s become a genre staple, the unpredictability in hostile NPC’s or deadly creatures showing up without warning do at least break up the seemingly endless back-and-forth with combat sprinkled in. There’s no shying away from the chore at moving back and forth between pre-determined, pre-scripted events, but the added ability to recruit characters to your team at any given time does further the emphasis on planning before attempting the mission at hand. What’s more, the variety of crafting and customisation possibilities — as well as the ability to simply exchange and replace upgrades with one another to different weapons — means players will constantly feel like they’re battling towards greater acquisitions and rewards further down the line. Perhaps one of the more surprising elements to find — pertaining to moments whereby you’re involved in engaging a particular target — are the choice-based dialogue options that act as moral dilemmas on how best to approach a situation. The fact these choices may even spring up mid-battle is an interesting take on the dialogue wheel’s of yonder, allowing players perhaps whom regretted an earlier choice to have another shot at an outcome far less combat-focused. 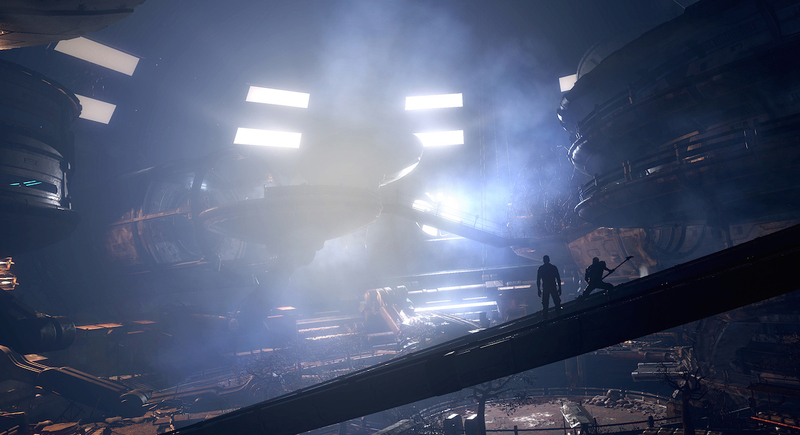 These choices inevitably play into the narrative that unfolds throughout, however there are very few times where player-choice feels like it is considerably shaping the plot — treated, to pick a notably recent example, in a similar way to how Quantum Break‘s reaction to your discovering a hidden collectibles and/or fork in the narrative road was a “oh yeh, that happened” nod rather than a sizeable deviation down one of its many routes. For the combat itself, The Technomancer builds itself around the concept of rock-paper-scissors tactics — figuring out which of the three primary fighting styles is best suited while making sure the enemy doesn’t do the same unto you. For that, the game allows you to switch stances and weapon builds on the fly, enabling you to shift from the slower but more powerful lance to the agile gun-touting “Rogue” and back again. It’s a system that is as much about analysing the situation as it is experimenting with the tools at your disposal; the fact the game shows no hesitation in punishing you for simply spamming the same attack pattern does give it a certain weight of brains as much brawn. Gain enough XP and you can of course upgrade a chosen class through the in-game skill tree. Perks can vary from beneficial to superficial with incentives such as the ability to counter opponents more easily, to a slightly faster attack which in the wider scale of combat, doesn’t pose that much a change in benefit. It’s unfortunate then that even with the ability to tailor combat to your own preferred style, combat itself can often feel clunky and sluggish. Worse, the fact even the most simplest of base mechanics can conjure such significant frustrations on top of the challenge on show, The Technomancer‘s most pulling attractions, be it its combat or its World exploration, can be its greatest annoyance. Whether it’s finding your attacks literally clip through an enemy (yet won’t stop said hostile scoring a successful hit on you shortly thereafter) or how hard it is to do something as simple as interact with an object — surfaces having about as much friction as an ice rink — there’s a significant lack of polish from a control stand-point in contrast to what is still an ample amount of effort placed in the visual and aesthetic side of Spider’s work here. 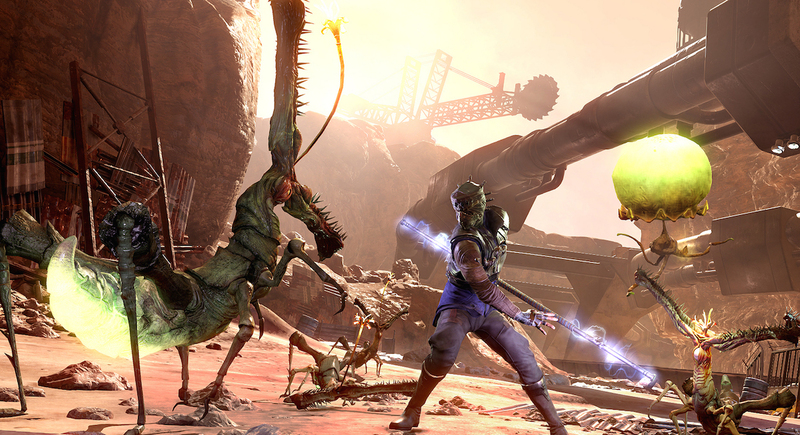 It’s hard to surmise whether The Technomancer and its faults come by way of financial or otherwise creative pitfalls, because there are some interesting and rather enjoyable moments to take out of both the game’s easy-to-access combat system and the rather nostalgic return of a colonized Mars seen through the eyes of an 80’s motion picture. There are resources and content to get stuck into for those who thrive on bettering their equipment and for that Spiders can’t be faulted for offering players an abundance of upgrades and the challenge that comes with it in learning-come-mastering the mechanics on hand. 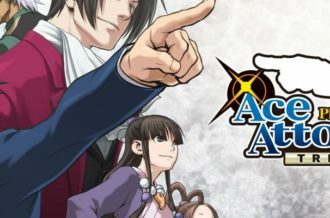 Yet for all the bite-size moments of intrigue and opportunities that at least fit the role-playing intent satisfying well — both in and away from its unique handling of dialogue options — it’s hard to ignore the technical mishaps and sheer lack of believability in its narrative structure. The Technomancer in the end, if ambitious, doesn’t quite meet the standards of its seniors it so desperately vouches to meet.